2017 Outstanding Environmental Project Awardees! Arthur Feinstein (left) and Barbara Salzman (center), shown here with award presenter Sam Schuchat of the Coastal Conservancy (right). 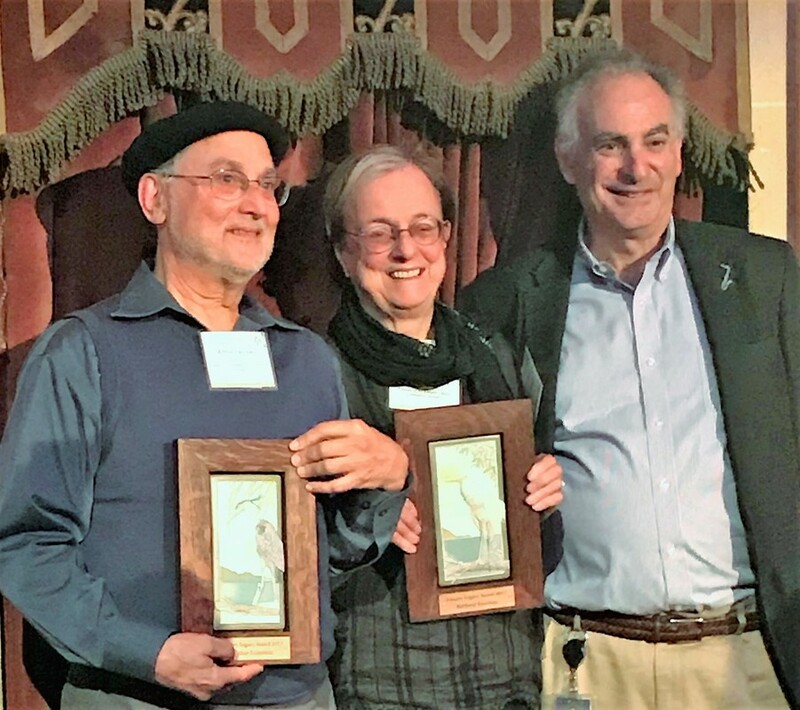 Founding Friends of the San Francisco Estuary Board members Arthur Feinstein and Barbara Salzman were presented with special Estuary Legacy Awards at the State of the Estuary Conference on October 10. These awards recognize their lifetime of work and significant achievements in protecting the San Francisco Estuary. California State Coastal Conservancy Executive Director Sam Schuchat presented the awards, and Senator Dianne Feinstein offered her congratulations by video message. To protect, restore, and enhance the San Francisco Bay-Delta Estuary, Friends of the San Francisco Estuary assists in implementing the Comprehensive Conservation and Management Plan (CCMP) or Estuary Blueprint. Friends carries out its mission through advocacy, education, outreach, and helping to integrate the various efforts in the estuary through information sharing and collaboration to ensure the CCMP is the guiding document for these efforts.